Daily Discounts Available! Call for Details. 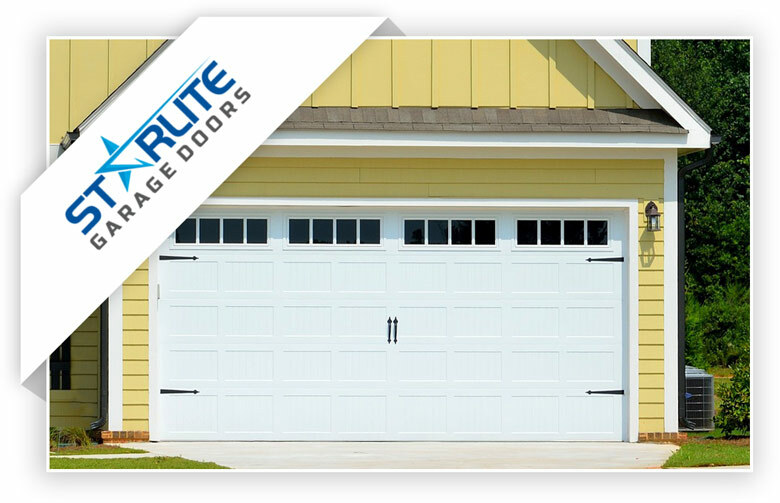 The team here at Starlite Garage Doors offers you a one-stop shop for garage door services. We’ve got caring professionals that are ready to take your call and get one of our qualified technicians to your door right away. We value building relationships that last a lifetime and we do this by providing a quality experience for you. That’s why our team works so hard to provide you with great customer service from beginning to end. We want to make sure your door is fixed correctly and that it’s done quickly. We know how frustrating it is to deal with a broken garage door. For most of us, it serves as the main entrance to our homes and is an inconvenience when we don’t have the use of it. We’ll work hard to get to your home quickly to fix your door. Most of the time, our technicians arrive within an hour for emergency repair help and they’ll bring quality replacement parts so they can resolve your issue faster. We can handle it all when it comes to your garage door. Our team is experienced and qualified to take care of repairing your door as well as maintaining it. We also specialize in new installations. If it has to do with your door, our technicians can help you. We recommend that you maintain your garage door in order to reduce the number of repairs you will need to make in the future. Depending on the quality of the part, you might need to replace it every 10,000 garage door cycles. That’s why it is important to have a professional look over your parts to make sure they will last. Want to update the look of your home without investing in major home improvements? A new garage door can completely change the way your house looks. Our team can help you pick the right look for your home and make the installation. Pittsboro, IN and all of Hendricks County can count on our team for quality customer care and garage door repair services! This town is in Middle Township just west of Brownsburg and is part of the Indianapolis Metro area. We are a small town with a little over 3000 people calling this their home. If you are new to the area we would like to make sure that you know how happy we are that you are here! We listed a few of our favorite places to spend time around town. Arbuckle Acres Park- running, biking, and great hills for taking the kids out sledding in the snow. Williams Park- really nice city park with an enclosed playground that the kiddos will love. If you’re looking for more information you can check out the Indianapolis area Chamber of Commerce and the official Pittsboro website for up to date community events way to get involved. Starlight Garage Door is eager to go to work for you and help you out with all your garage door needs here in Indianapolis, Indiana. From basic service to extensive repairs, our team is happy to be able to do the work for you. If you need any help at all give us a call! 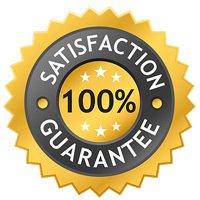 We provide a quality experience with great customer service from beginning to end. We strive for a 5-star experience on every job! This company is fabulous! The tech Cameron noticed my gfi switch was flipped fixed and didn't charge me for a bunch of stuff that I didn't need. Explained the services they offered when asked. Very friendly and professional. I will use again, came out within a reasonable amount of time from time call placed. Alfredo Guillermo was Awesome, he was able to get my Garage door running smooth. He went above and beyond assisting in not only replacing the broken parts but also showing what possibly contributed to an overworked spring/motor. Garage opens quieter than it ever has, thanks again! Call Now to Have Our Team Help You! We are waiting for your call! Starlite Garage Doors loves serving our community with quality garage door service. To get started, give our team in Indianapolis a call today! © 2019 Starlite Garage Doors All rights reserved.